‘Paths of Hate’ is a short film filled with spectacular and attractive-looking air-to-air combat scenes. In both its structure and its innovative 3D graphics-based image stylizations, the short resembles a comic book come to life. born in Wrocław. Graduated from the National Film School in Łódź with a degree in animation and special effects. Nenow directed three animated shorts, and each one was a very important step for the artist. “The Aim” (2005), created while he was still in film school, was the first of his movies to receive an award. “The Great Escape” (2006) was screened at major international film festivals. 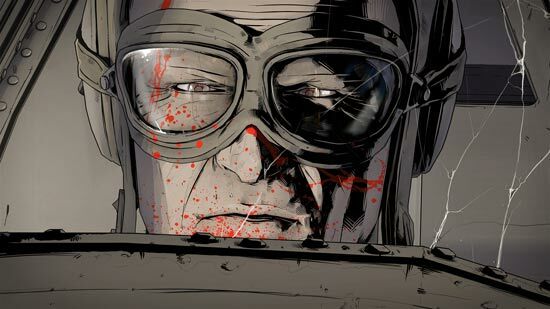 “Paths of Hate” (2010) was short-listed for an Academy Award nomination, received a Special Distinction at the Annecy International Animated Film Festival, was honored at Comic-Con, the world’s largest comic and video game festival and received the Best of Show award at the 2011 SIGGRAPH. Damian directs advertisements and is often involved in various special projects. He directed “City of Ruins”, a stereoscopic digital reconstruction of Warsaw destroyed in the course of World War II, which received the prestigious Muse Award in 2011. Currently, he is working on his first feature-length movie “Another Day of Life”, based on the eponymous book written by Ryszard Kapuściński. The film will be an innovative mixture of documentary and animation.